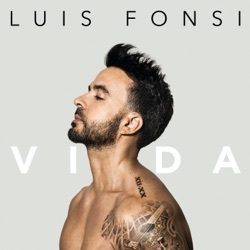 Vida is the 10th studio album by Luis Fonsi, released by UMG Recordings on February 1, 2019. Fonsi beautifully serves his diverse audience an album that has something for everyone. His worldwide success, even if he was just under 20 years in coming, is earned. Most tracks are more reminiscent of a coffee ride with my grandma in the Spanish mountains ... Here he can rest in good conscience on his one hit wonder laurels. Luis Fonsi follows through with his tenth full-length album (and first since 2014), Vida.